Fans of the whimsical collection of Dr. Seuss children’s books may one day be treated to new volumes in the wildly popular series. 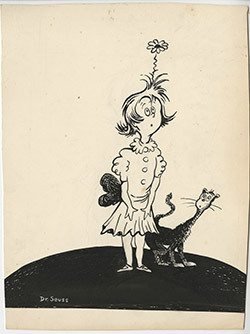 Some of the original ink drawings from the newly donated materials will be on display March 3 when the campus throws its annual party in front of Geisel Library to celebrate the March 2 birthday of Dr. Seuss. The materials will remain on display through the end of March. The recently donated materials are being added to the Dr. Seuss Collection in the Library’s Mandeville Special Collections. 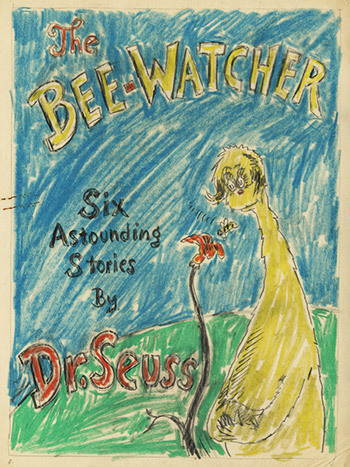 The collection houses more than 10,000 items, including original drawings, sketches, manuscript drafts, books, notebooks, photographs and memorabilia, documenting the full range of Theodor Seuss Geisel’s creative achievements, from his high school activities in 1919 through his death in 1991. 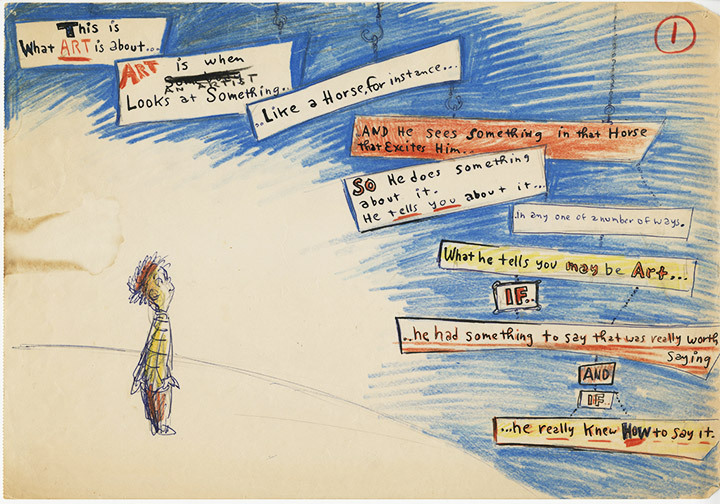 According to Lynda Claassen, the director of the Library’s Special Collections & Archives and the longtime steward of the Dr. Seuss Collection, the new materials consist primarily of rough drafts, sketches, project notes, and creative ideas that did not come to fruition. The annual birthday party will be held at noon on Monday, March 3 in front of Geisel Library, which was named for Theodor and Audrey Geisel in 1995 in recognition of their generous support to the University and the Library. The party, which marks Dr. Seuss’s 110th birthday anniversary, will feature a giant inflatable Cat in the Hat, as well as some 2,000 cupcakes that will be served to mark the occasion. Chancellor Khosla and Brian E.C. Schottlaender will be on hand to pass out the cupcakes and greet attendees. Musical entertainment will be provided by The Teeny Tiny Pit Orchestra, directed by the Library’s Scott Paulson, which will be playing songs from The Cat in the Hat Songbook. The UC San Diego Library received Geisel’s collection of drawings, notebooks, and other memorabilia after his death in 1991, and four years later Audrey Geisel made a substantial donation to support the university’s Library. In 2008, Audrey Geisel made a $1 million gift to the Library to establish San Diego’s first endowed university librarianship, held by Schottlaender. Most recently, Geisel also donated funds to renovate University House, the UC San Diego chancellor’s official residence and a venue for university events.